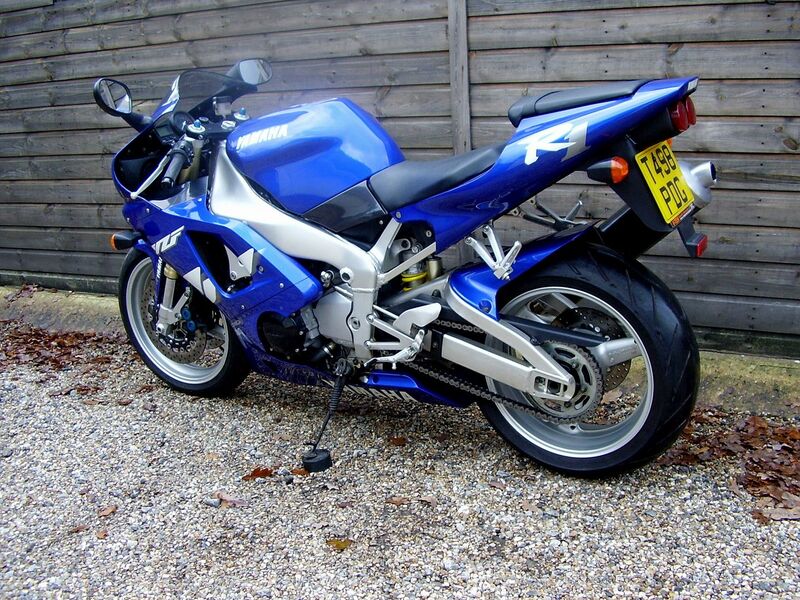 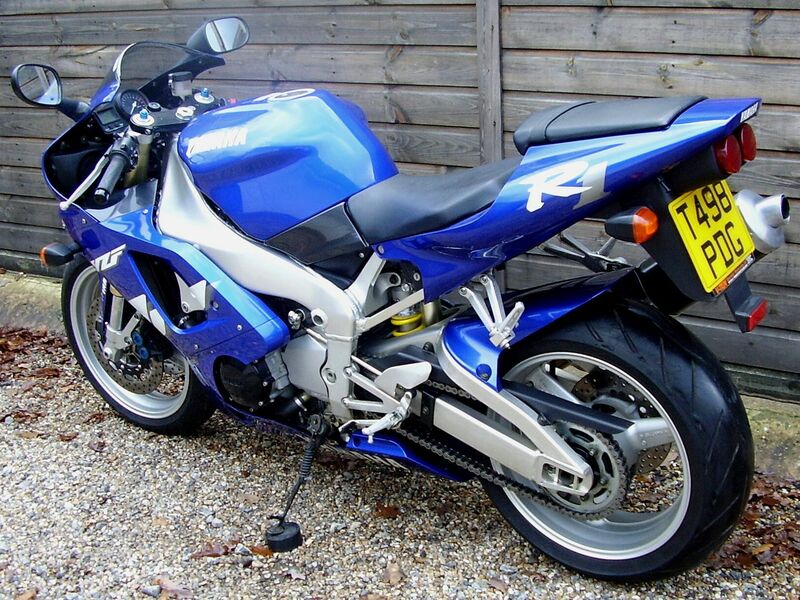 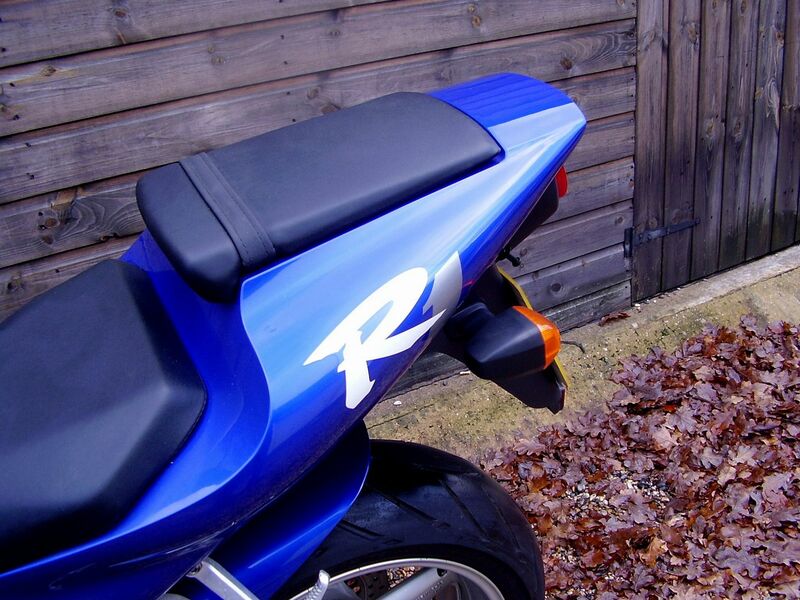 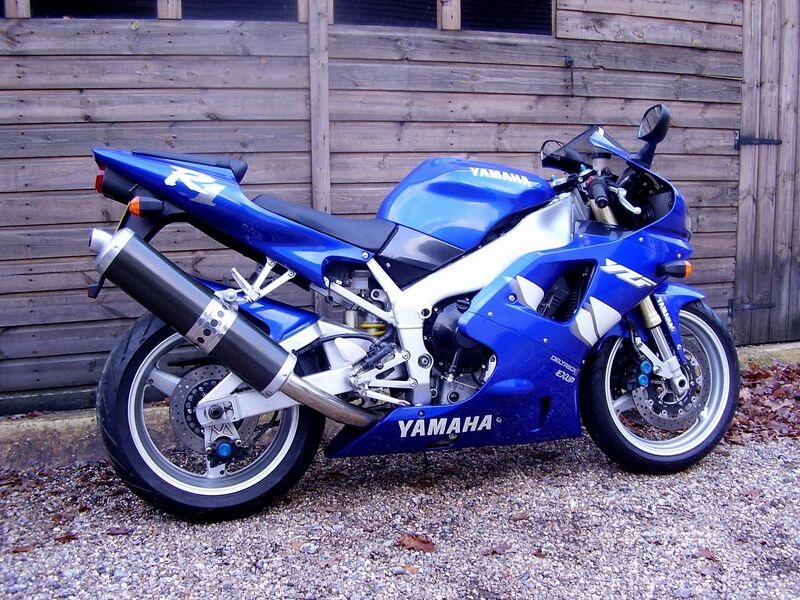 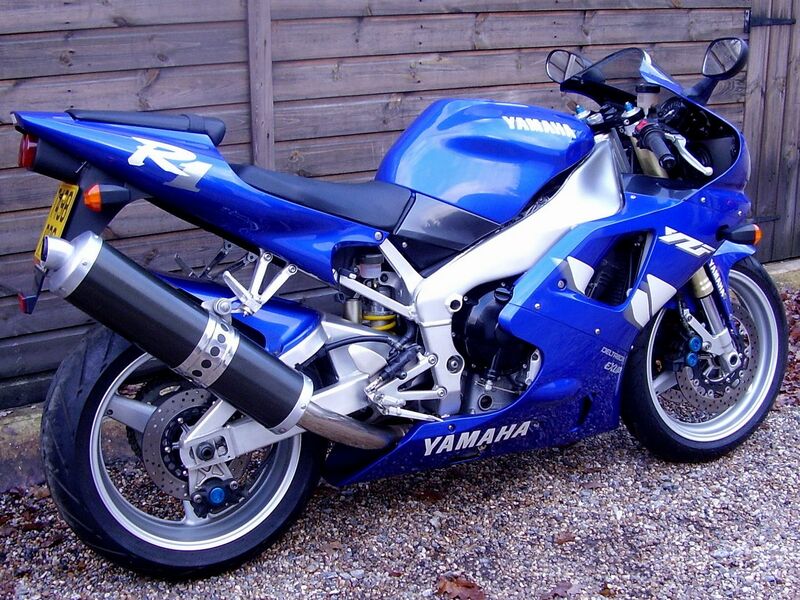 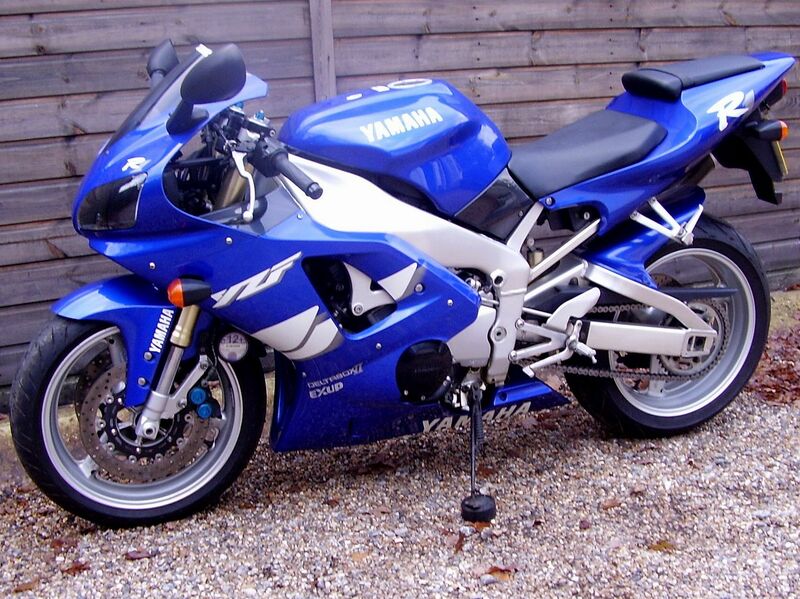 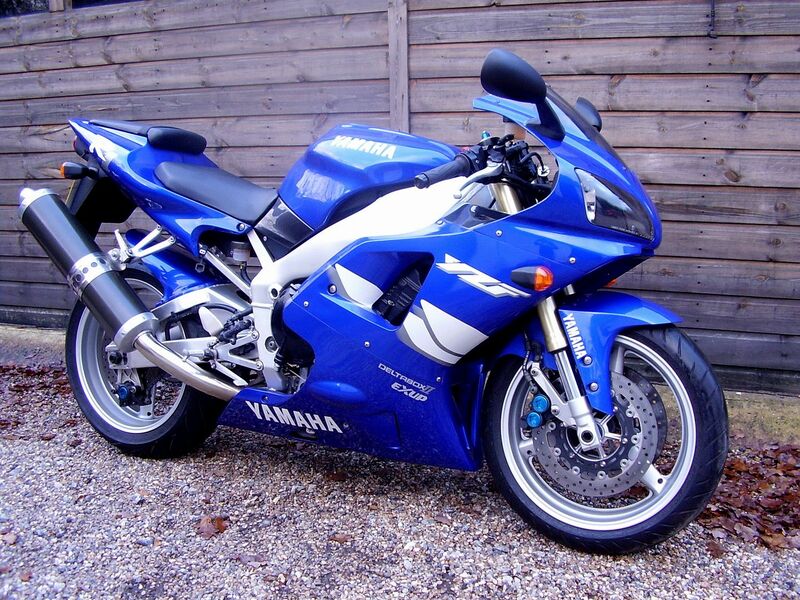 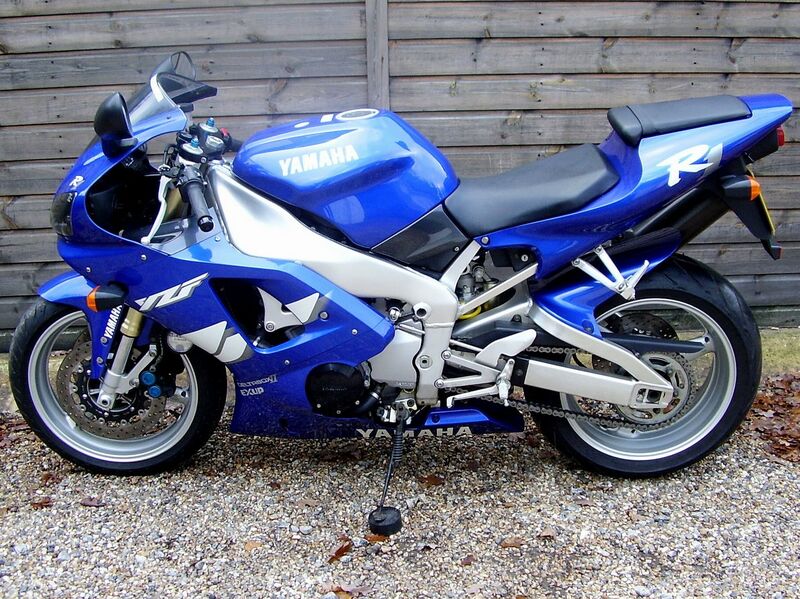 £ 7995, Yamaha YZF-R1 4XV (2 owners, 2200 miles, Standard) 1999 T Reg. 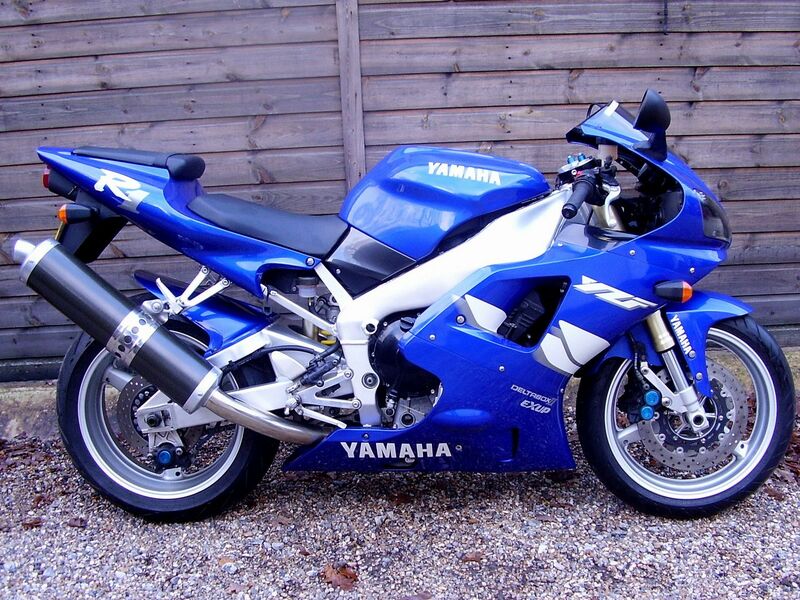 Not too much to say about this one, other than it is a completely standard, and original, virginal bike. 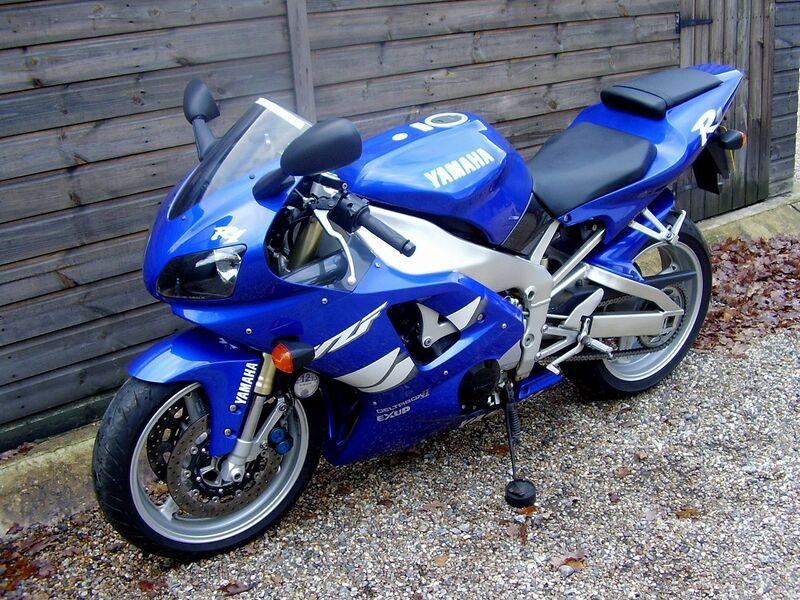 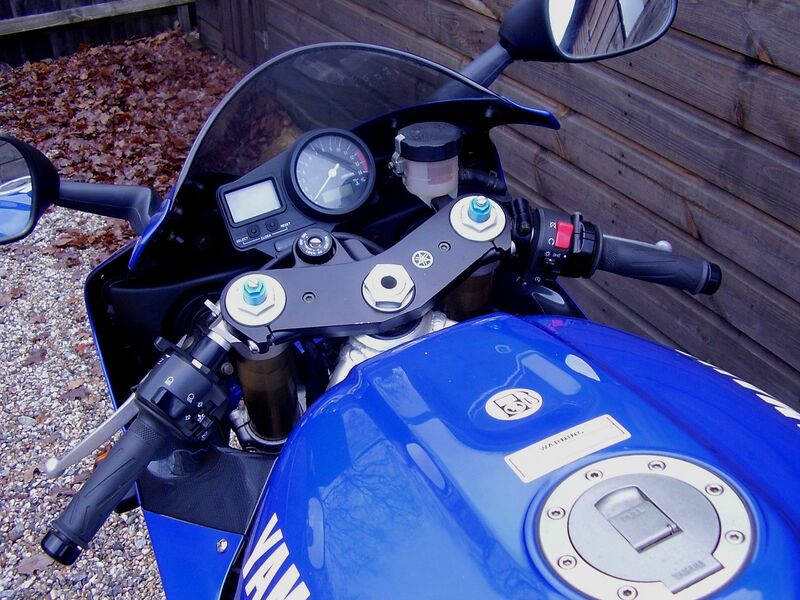 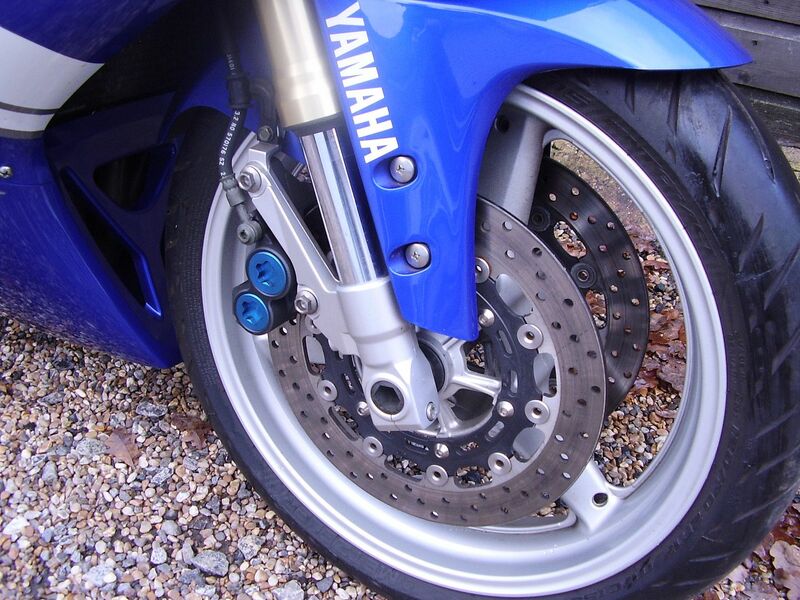 Yamaha YZF-R1 4XV, UK supplied by franchised Yamaha dealers Fraser’s of Gloucester in July 1999, in the year two colour scheme of Yamaha Deep Purplish Blue metallic with White Decals and Silver Wheels. 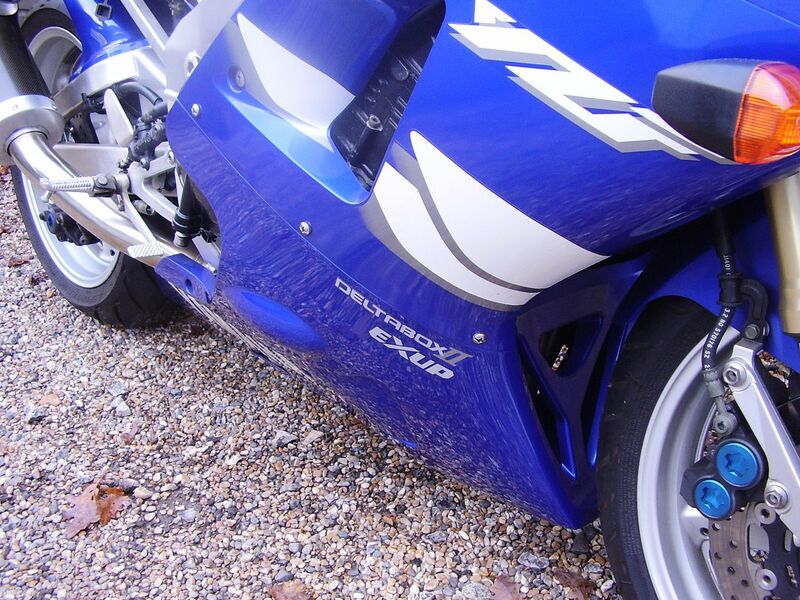 Just 2 owners, and 2200 miles from new ensure that this bike presents a rare opportunity for any buyer that values mileage and provenance highly. 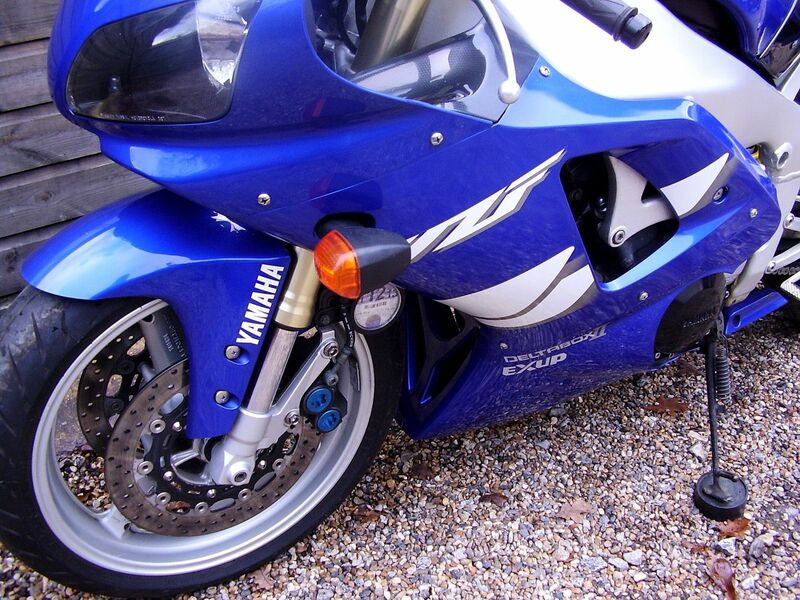 Everything is present, including the original stamped service book and owner’s manual, the original bill of sale, service bills/invoices, old MOTs, all keys (with number tag) and original owner’s warranty card. 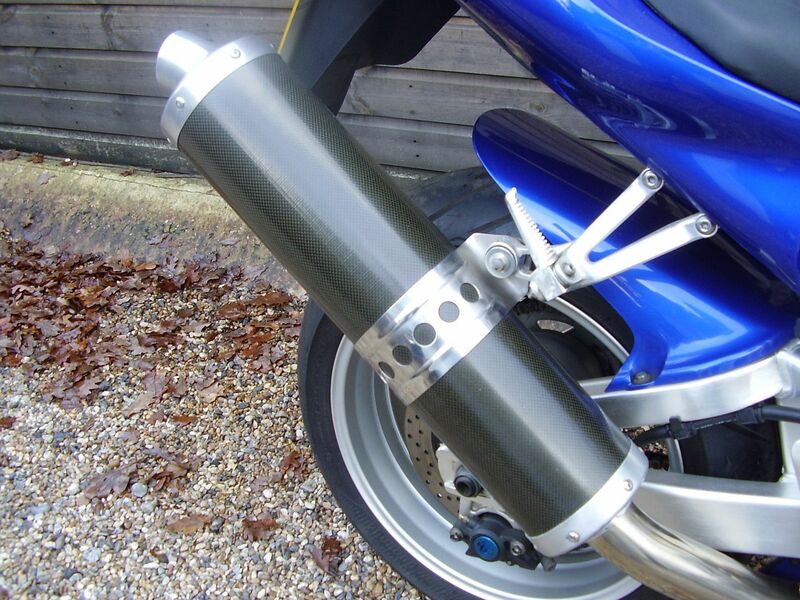 We have recently serviced it to include Motul 5100 oil and filter, Iridium spark plugs, fuel filter and carburettors stripped/ultrasonically cleaned/rebuilt with new repair kits, all in the interests of good mechanical practise. 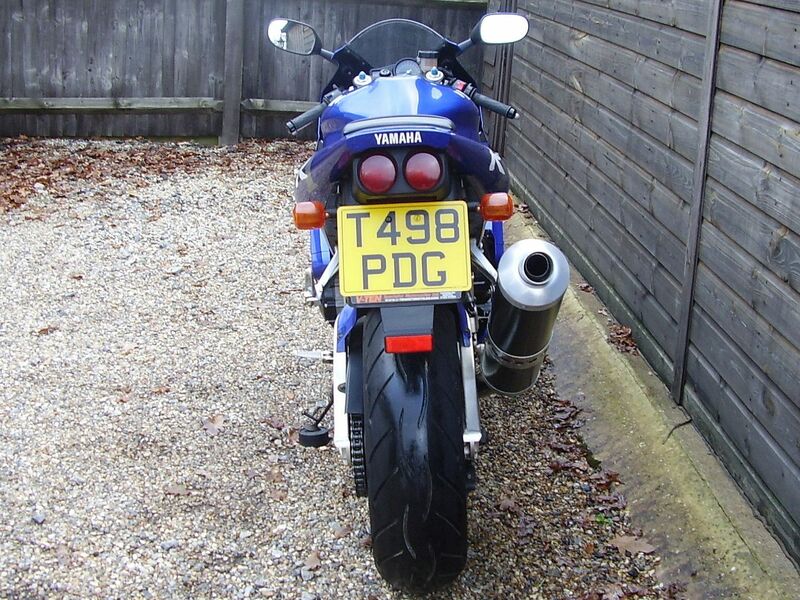 Totally stock, standard and unmodified, it rides as a new machine, and is in original, essentially unmarked condition, proudly displaying all it’s originally fitted parts, from it’s indicators, to it’s levers, to it’s clear screen, to it’s number plate hanger, to it’s exhaust system etc. 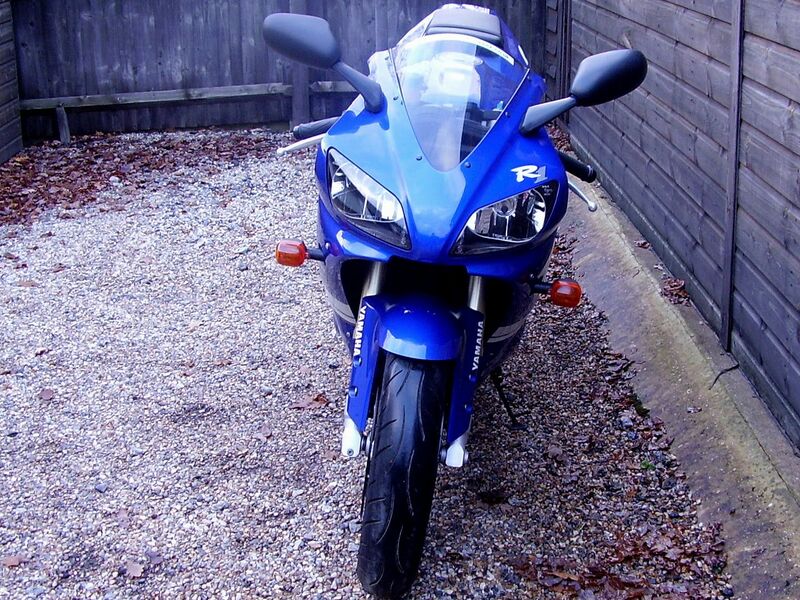 £ SOLD, Suzuki GSX-R 750 L1 (Metallic Matte Grey and Red) 2012 12 Reg. 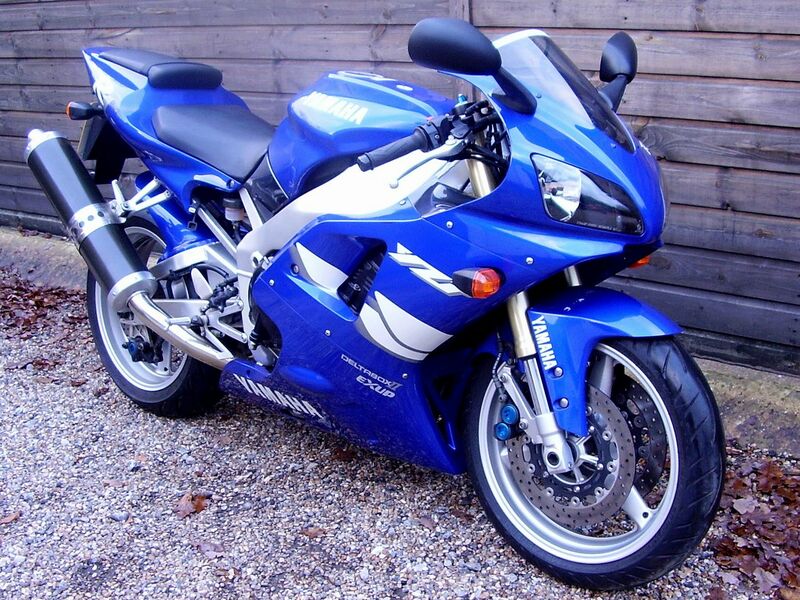 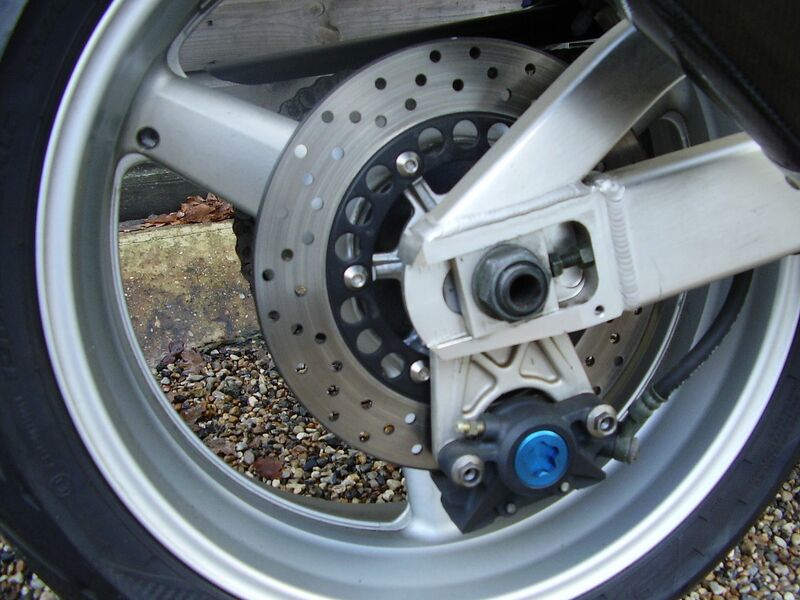 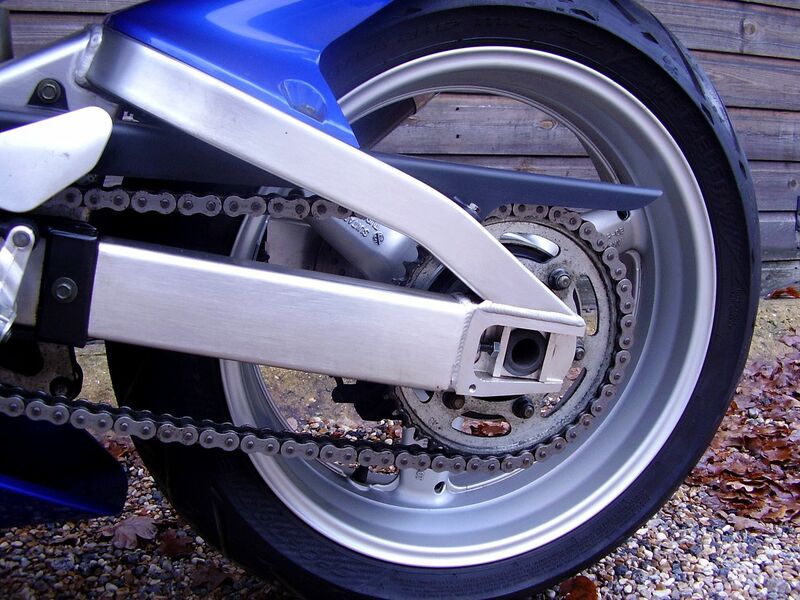 £ SOLD, Honda CBR900RR-3 954 Fireblade (2 owners, 2600 miles) 2003 53 Reg.